What can you do to build a habit of studying before you relax? You need to prepare yourself even before the exams approach. This will make it easier for you to study when the exams approach thus guaranteeing you good results.You can build a habit of studying before you relax. According to https://customessayorder.com/, below are some tips you can use to motivate yourself to study. Procrastination can be as a result of variousreasons. For example, you may assume that a topic is boring or you can be waiting for the opportune timeto start studying.To get the motivation to study, you need to discover and understand why you procrastinate. Spend some time to reflect on what brings the procrastination. You will then knowhow to use these other tips to motivate yourself to study. Studying can be overwhelming hence canlead to procrastination. So, you need to break it down into bits. You will be able to manageto study and comprehend the material with ease. You need to reward yourself once you complete a bit(s) of the study material. You can relax for a while and get back to it at a later time. This will help make your studying stupendous or amazing. To motivate yourself to study, you need to create a study schedule. This will help you develop the habit and stick to it. Also, you will know when you need to study and when to do other things. Discover what you want to do. You want to boost your grades. Setting a goal will motivate youto study hard to achieve it. Hence, set achievable goals instead ofambiguous generalities. There are subjects which are hard to understand. They can make you lose interest in studying. Exams will be set on all subjects irrespective of whether you have an interest or not. Try and understand thatsuch a subject is essentiallike the others. They both have value in your future career. There are times when you want to study and do not feel the psyche coming along. That is whyyou must create a study schedule. Exercising your brain is another way to motivate yourself to study. You can do these bytrying complex puzzles, learning a foreign language or learning a new sport. This will help make your brain stronger and flexible. At times, you may find it hard to understand something when you read alone. Studying in a group will help you understand the study material better. Also, you will be able to share with otherstudents your areas of difficulty and learn theirs to. You may also be able to help them out. When you put to much focus on your studies, you may forget that you need to exercise. Sitting for long hours will weaken your body muscleshence you can lose interest in what you are reading.Regular exercise helpsstrengthen your muscles as well as refresh you. With exams around the corner, you presume that you need to study for longer hours and rest for less time. But, this will not bear fruit. You will end up exhausting yourself. Thus, find difficulty in understanding the study material. After you complete a chunk of your study material, get some rest. It will help calm your body and relax the mind. Moreover, you will wake up having the spirit to studyand it will be easy for you to grasp what you are studying. Believe in your capabilities. Do not think you cannot make it. Visualize yourself enjoying your studies and being successful. It will help youto focus and aim at achieving your study objectives. It is easy to distract yourself when you find it hard to understand what you are reading. You may choose to watch a YouTube video orcheck through your social media buzz feed. Such distractions will lure you away from studying. Keep your phone away from you or close these websites. You can also study in a room where you will not encounter any sources of distraction such as the TV or radio. In conclusion, it is hard to motivate yourself to study. You may stare at a book for long and end upasleep.You may choose to pass time by watching something or checking your mails. There are various ways you can motivate yourself to study. 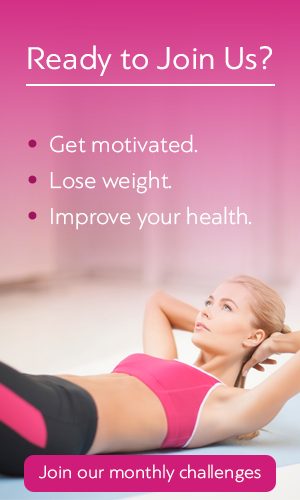 Above are some tips you can use to motivate yourself. Thus, you should not worry about how to motivate myself to study.